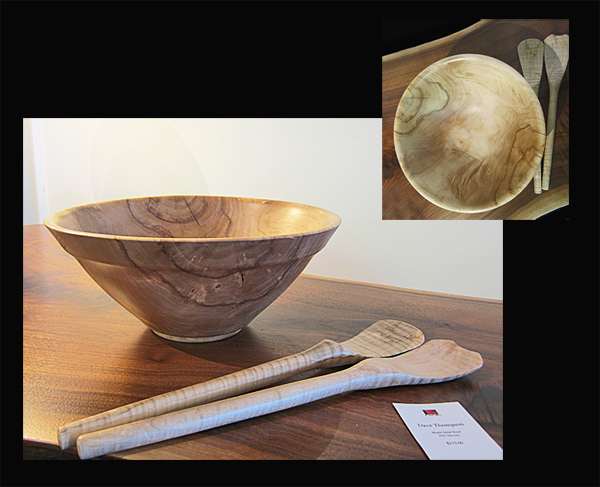 As they become available, more of Dave's beautiful bowls will be displayed here. We sometimes have others in the Gallery, so please contact us if you don't see what you need, or to request a custom order. Dimensions: 14-1/2" in diameter x 3-1/2" tall. Dimensions: 13" in diameter x 4"tall. 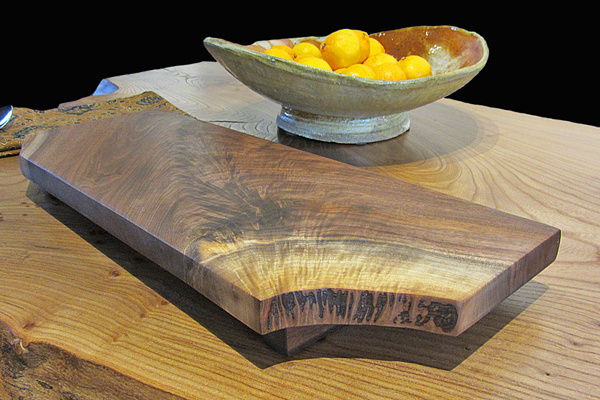 A simply gorgeous footed cutting board in walnut with food-safe finish and non-skid padding on feet. 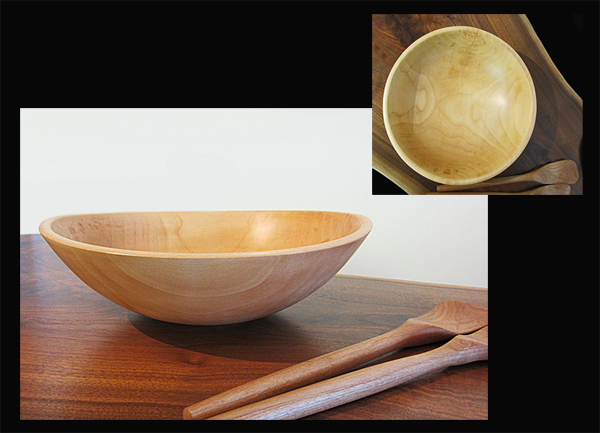 Renew with a swipe of walnut oil on the surface of the board, and use it for a lifetime! Also makes a delightful serving board for your finest party presentations. Dimensions: approximately 21" x 8". 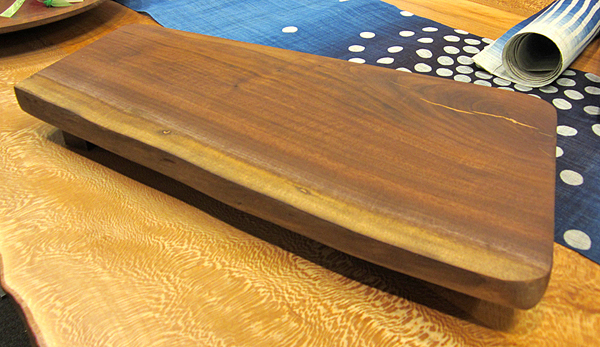 A simply gorgeous footed cutting board in walnut with food-safe finish and non-skid padding on feet. Renew with a swipe of walnut oil on the surface of the board, and use it for a lifetime! 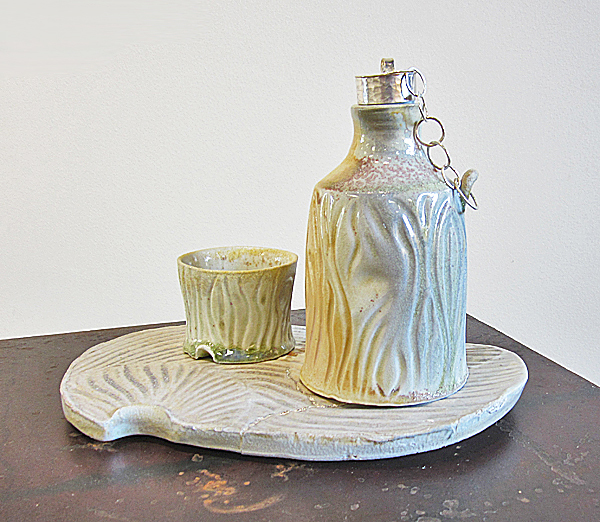 Also makes a delightful serving board for your finest party presentations. Dimensions: approximately 9" x 17". Food-safe finish. Servers included. 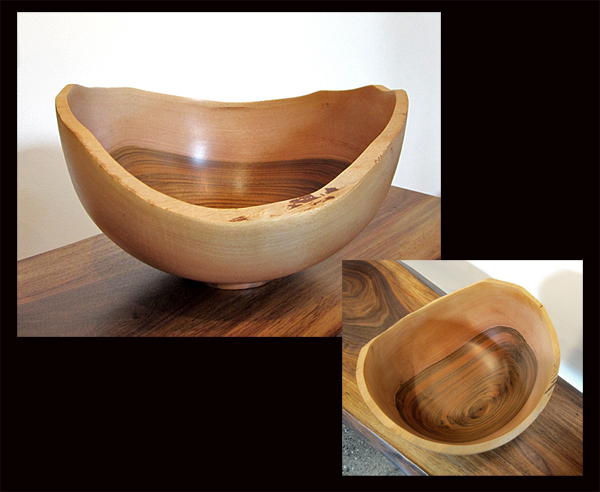 This bowl is very lightweight and refined. 13" x 3-1/2". Food-safe finish. Servers included. 12" x 5". Food-safe finish. Servers included. 12" x 4". 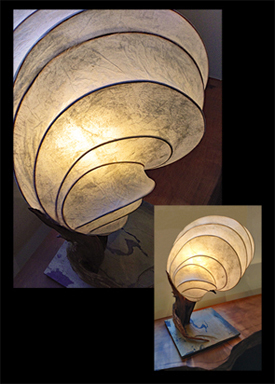 Dimensions: 12" in diameter x 4" tall. 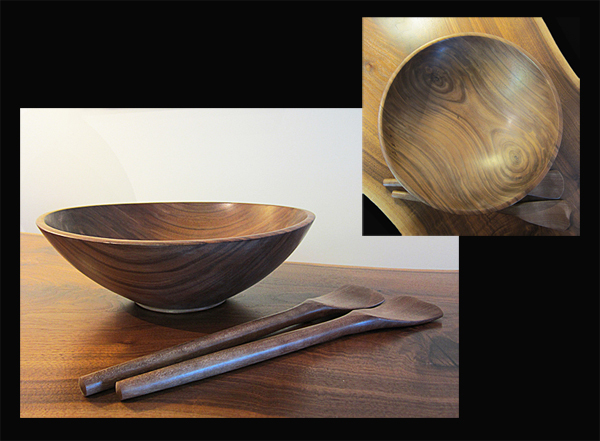 A beautiful walnut natural edge bowl, expertly hand-turned by Seattle woodworker Dave Thompson. Dimensions: approximately 5-1/2" deep x 9-1/2" wide.